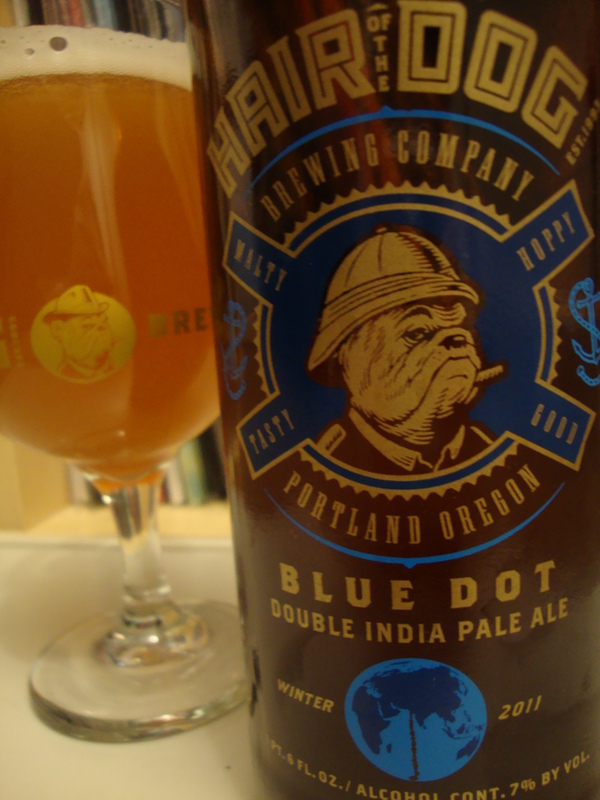 IPA | Beer Blotter: Seattle based. World focused. 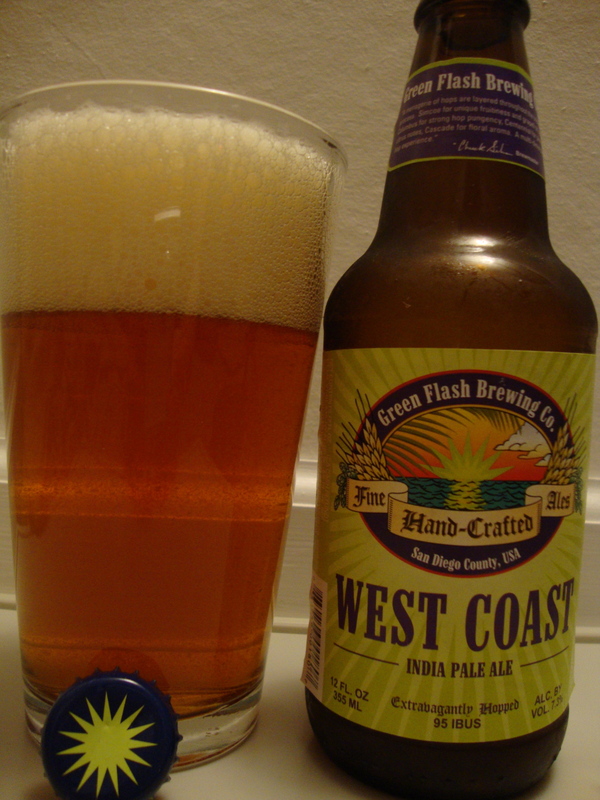 Brewery: Green Flash Brewing Co. 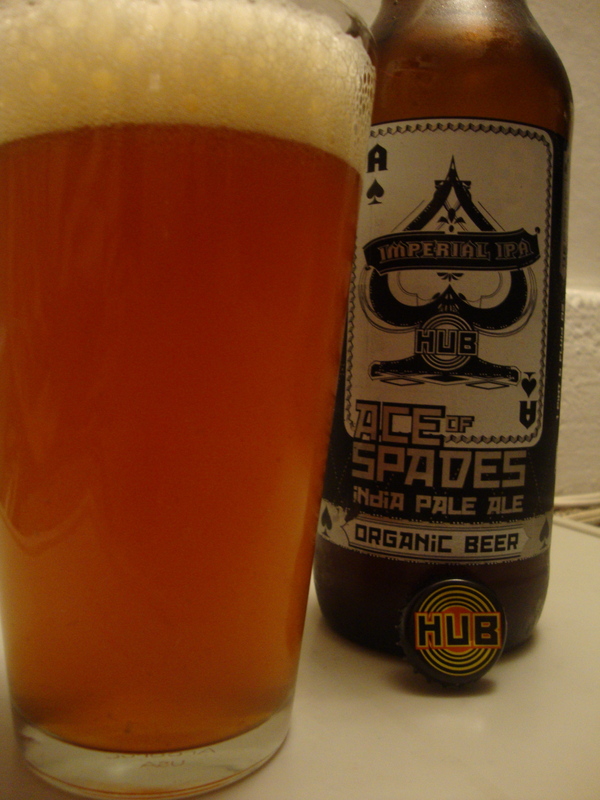 This West Coast-Style India Pale Ale is extravagantly hopped, full flavored, medium bodied and copper-colored. A menagerie of hops is combined throughout the brewing process to impart specific characteristics. Hops used include Simcoe for a unique fruitiness and grapefruit zest, Columbus for strong hop pungency, Centennial for pine and citrus notes, and Cascade for floral aroma. Green Flash is, unofficially, a member of the San Diego IPA Masters Club (SDIPAMC). The only reason that they are not official members is because the SDIPAMC doesn’t exist. I just made it up, right then. But by golly it should exist. There is something in the warm air down there, or maybe it’s the water…who knows, but San Diego county seems to have an endless supply of IPAs come out of it, each one better than the last. I think I’ll just let the numbers tell the tale. And I didn’t even get into the Pizza Port IPAs. It’s just plain ridiculous. It’s clear that SD is IPA Valhalla. West Coast IPA pour an extremely cloudy (chunky even) orange tinted amber with a big rocky head formed of varying sized bubbles. The foam takes quite some time to settle, leaving generous globs of lace in its wake. The lace and head are stark white. About a millimeter or two of foam remains atop this bitter masterpiece throughout. There is an obscene amount of particulate suspended in the solution. I’d imagine that, most likely, the floaters consist of tiny bits of whole leaf hops that were left behind after dry-hopping. The nose is full of hop resin. Pine and citrus seem to weigh in with equal parts. 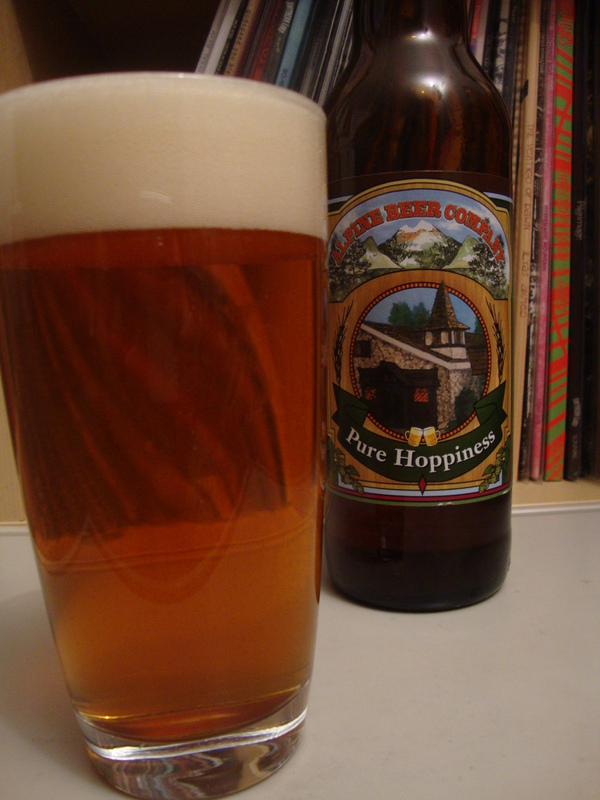 Much to my delight, there is a sturdy framework of sweet, biscuity malt at the core of the hop mountain. The hop scent is very pungent and earthy. There is some muskiness, like wet wood or mud. It garners images of a harvest on a rainy day. Clearly there is no fresh hops within, but the profile portrays the guise exquisitely. There is a small amount of skunkiness to the odor as well but all of the attributes coalesce to better allow me to appreciate the highlighted spice of the style. The bitterness in the flavor is intense, but the above IBU stats already said that. Personally, I find it to be a bit much, but I am thankful that there is a lot of hop flavor here to seduce my thoughts away from my impending facial implosion. Grapefruis, most likely from the Simcoe, is most easily pinpointed, and is most prominent on the back of the tongue and in the back corners of the mouth. Yeah…it’s pretty much all citrus, and it’s the adjoining bitterness that forces thoughts of grapefruit, or of bitter orange. 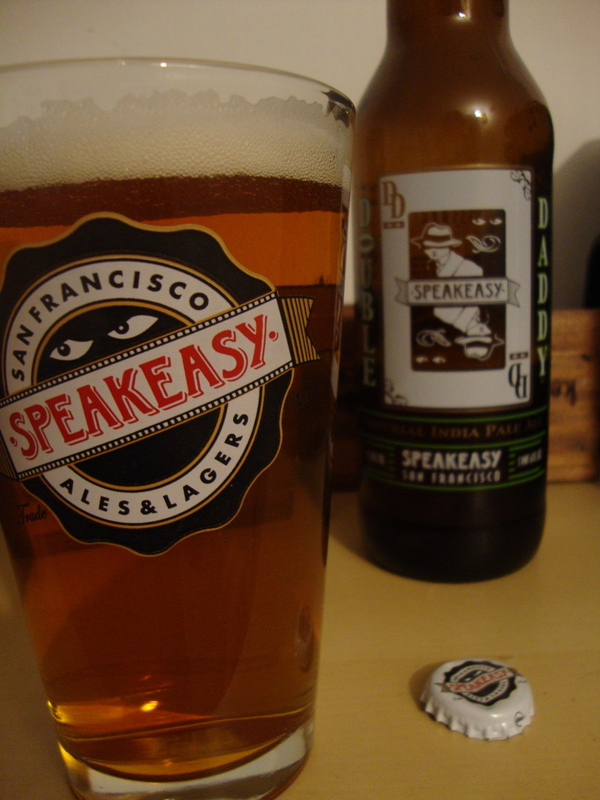 There is a malty, sweet component to the flavor, but it is nearly all relegated to the aftertaste. I’m mostly impressed with how intensely bitter this is, yet somehow I’m left feeling excited about the complete picture that this beer paints. It’s as complex a single IPA could be. Or, possibly more aptly, it’s the most complete, rounded example of an IPA that I can think of. No one element unanimously blows me away, but each characteristic is well composed and the layering of it all has been executed adroitly. This is a superb example that all brewers should study. The bitterness wants this beer to finish bone dry, but somehow the lingering sweetness combats most impressively. I’ll give it a high B grade, mostly because there is balance amidst the 95 IBUs.